Every summer, Discovery Channel has their Shark Week special, and my family and I look forward to it every year – to say we are shark fans would be an understatement! 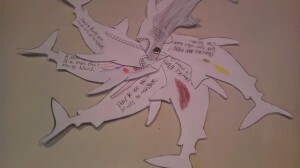 So of course, I had to write a Shark Unit Study! Now you can celebrate Shark Week any time of year! 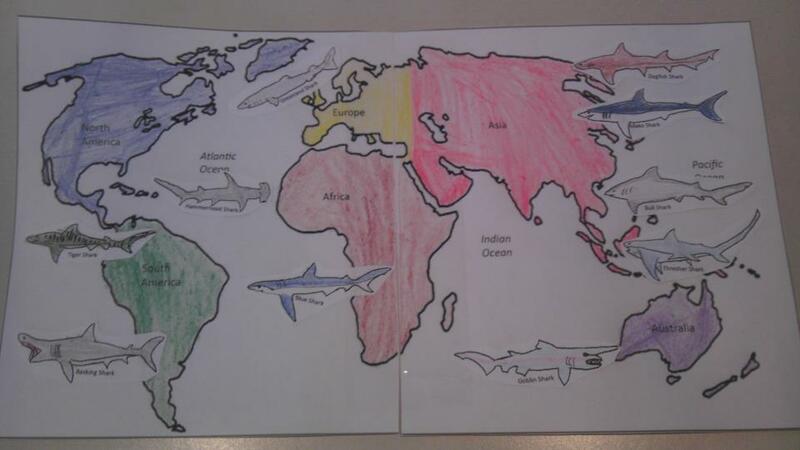 With this multi-age homeschool unit study, you and your children will learn everything you ever wanted to know about sharks! You’ll learn about different species of sharks, including prehistoric sharks, shark anatomy, how to protect yourself from being bitten by a shark and more! I have scheduled several wonderful books for your studies, including Shark Life: True Stories About Sharks & the Sea by Peter Benchley, author of possibly the most famous shark novel – Jaws. This is a fascinating children’s book about Benchley’s experiences with sharks, as well as how to protect yourself in the ocean. 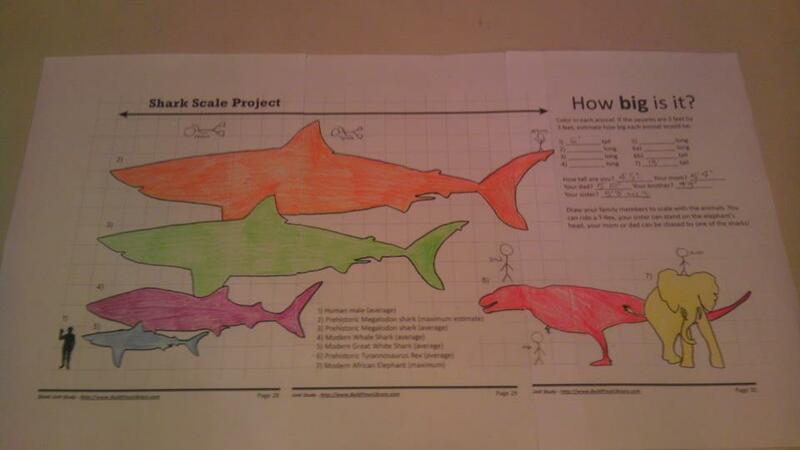 You will complete a variety of projects, such as creating your own shark field guide, making a shark anatomy flip book, a sharks around the world map project, and a shark scale project, to name a few. This unit includes a complete schedule, book list, documentary list, helpful internet links, copywork/dictation assignments, vocabulary, writing assignments, and a variety of projects, including 11 notebooking pages. It is scheduled over 3 weeks, but can easily be stretched to last longer if you only do 2 – 3 lessons per week. You can even purchase a 2-foot dogfish shark to do a anatomy dissection activity to finish your study of sharks! So what are you waiting for? Jump into the ocean and start your shark adventure today! 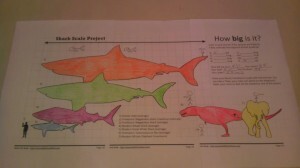 My daughters, ages 4 and 9, and I had a blast with this study unit! 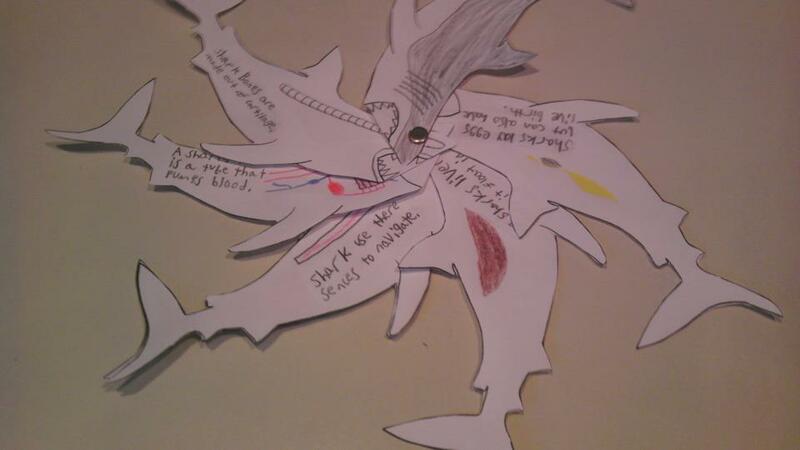 Shark Life by Peter Benchley was a little intense for my 9yo, but she still ended up truly loving the book. We learned so much about sharks and the ocean! Months later and she is still recalling facts at random and telling people about them. My 4yo didn’t get as much out of it except enjoying the pictures and pretending to be afraid of the sharks, which is fine, it wasn’t for her anyway. I was impressed that it held her interest at all since she is so active. The Shark Unit Study could be adapted for either younger or older audiences to suit their needs/abilities and gives you a great platform if needed. I followed it completely and it was fabulous for the child intended. This was the very first BYL experience we had and it made us fall in love with BYL! I highly recommend this unit study for all ages.